How could I get through Rose Week without a rose-oud? The answer – I couldn’t. 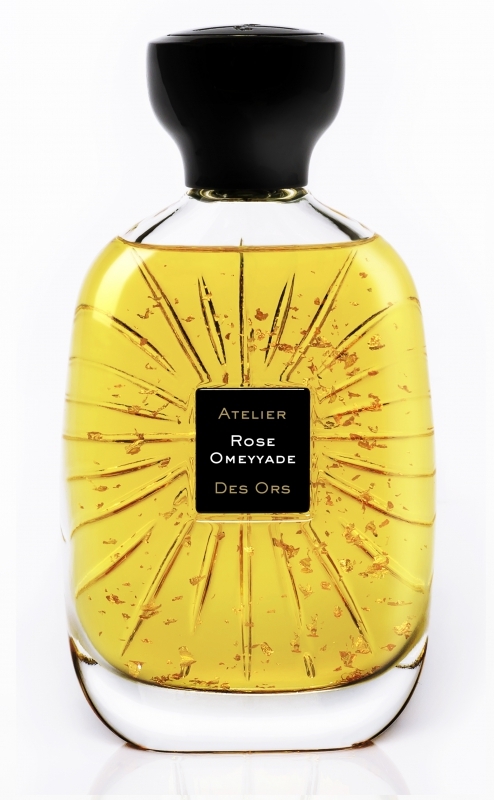 Atelier des Ors Rose Omeyyade is one of those darker, deeper, jammy roses balanced by woods. The first part of the wear of Rose Omeyyade is a spicy, boozy rose. It opens with a raspberry jam with rose petals dusted in fruity, pink pepper. It smells somewhere between rose jam and Chambord liqueur. At this stage, Rose Omeyyade reminds me of bright red velvety rose petals. It’s not listed, but I do pick up on an indolic floral, like jasmine mingling with the rose. It then becomes become a rose-oud. The fragrance gets deeper, “darker” with the addition of oud and patchouli. The oud isn’t funky. It’s more nutty, like a praline. The dry down is a soft, velvety synth oud with a sweet musk and amber. There are a lot of perfumes that fall into this “dark” oriental, oud rose genre. However, Rose Omeyyade is very well done and doesn’t feel redundant. It’s a sweeter, boozier rose-oud that makes both the rose and the oud more approachable. Notes listed include raspberry, rose, pink pepper, patchouli, gaiacwood, brown sugar, sandalwood and oud. Give Rose Omeyyade a try if you like rose-ouds. Or perfumes like Armani Privé Rose d’Arabie, YSL Majestic Rose, Jo Malone London Velvet Rose & Oud, Trish McEvoy Black Rose Oud and/or By Kilian Rose Oud. Like I’ve mentioned already, Rose Omeyyade is slightly sweeter than the ones I’ve mentioned. It’s not a gourmand, but it does lean sweeter like a jam or liquor would. Projection is average. Longevity is above average. The 3.4 oz bottle retails for $275 at Osswald. Samples are also available for purchase. Victoria’s Final EauPINION – Sweet, boozy raspberry rose and woods. It’s not something that I feel the need to add to my collection of rose perfumes (already have the rose-oud base more than covered), but it’s a really pretty rose-oud. *Disclaimer – Sample provided by the brand. I am not financially compensated for my reviews. My opinions are my own. Gemma Ward in Vogue Italia 2005.